The French Grand Prix moved to a new venue in 1965, but this proved no problem for Jim Clark who won the race with ease, once again leading from start to finish. 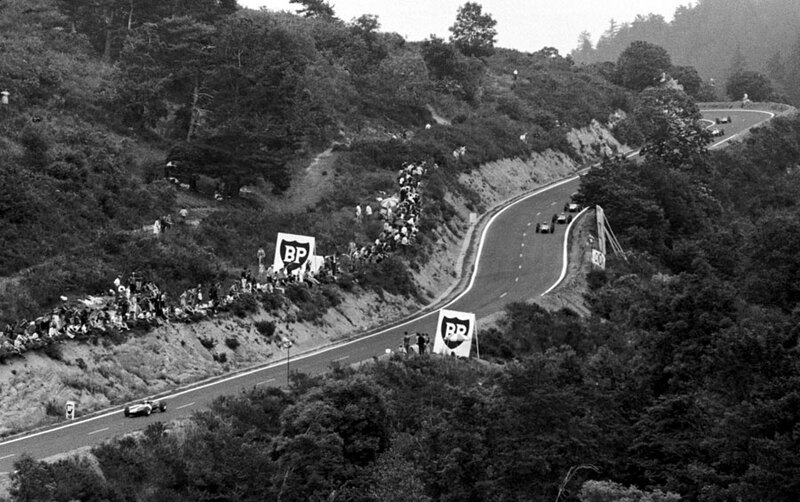 The Circuit Charade in Clermont Ferrand was hazardous, narrow and, twisting around the remains of an extinct volcano, had been likened to a shorter version of Germany's famous Nürburgring. The five-mile track was set in the Auverge Mountain region of France at an altitude of 2000 feet. With 51 treacherous corners, four of them hairpins, it was challenging and potentially dangerous for the drivers. Taking it all in his stride, Clark started on pole - in a two-year-old Lotus after his current 32-value broke down in practice - and set a blistering pace from the start, chased hard by Jackie Stewart in the BRM. By the fifth lap, John Surtees had moved his Ferrari up to third, but he was to get no closer to Clark and Stewart, and the top three remained the same for the rest of the race. Hill had a terrible start and was lying way back in 12th after the first lap, but he gradually worked his way through the field until by lap 18 he was in sixth, eventually finishing in fifth. It emerged afterwards that he drove most of the way without a clutch. By lap 27, as Clark passed the pits, only seven cars were on the same lap and the commentator's announcements of new lap records were becoming all too familiar. In the closing stages, Bob Anderson, who had been running steadily in ninth, crashed his Brabham, escaping without injury. Lorenzo Bandini lost a wheel off his Ferrari, which very nearly slammed into Hill's car. "Towards the end of the race I came round a corner", said Hill, "and saw Bandini's car parked at the side of the road. I thought he had had it. I went on down the hill about 300 yards when a bloody great wheel came following me. I managed to dodge it." Having won three out of the three races he has competed in, Clark was way ahead in the championship standings on 27 points, ten ahead of Hill and Stewart. He was looking unstoppable, and Lotus chief Colin Chapman stated, "I believe Clark, at the moment, is the greatest racing driver the world has ever seen."